Vacuum Cooler: Germany Focusun – Professional manufacturer of vacuum cooler in keeping freshness of vegetables, fruits, flowers, ready food, etc. Because of the increasing demand for fresh food, the drawbacks of traditional cooling methods are obviously revealed. After the products have been harvested and packed onto skids, how to reduce internal field temperature to ideal storage temperature very soon is a key step to maintain the freshness of fruits and vegetables. However, the deficiencies of traditional cooling methods include long processing time, poor temperature uniformity, mechanical damage on surface, limited throughput, etc and therefore they can not achieve rapid, uniform cooling preservation effect. In contrast, Focusun vacuum cooling technology is different from conventional refrigeration equipment, it is a cool processing equipment, with fast, uniform and clean cooling advantages. The reduction in temperature via vacuum cooler is achieved by rapid evaporation of water when the atmospheric pressure inside the chamber is lowered by a vacuum pump. Generally, it takes only 30 minutes to reach the optimum storage temperature about 0 degrees. 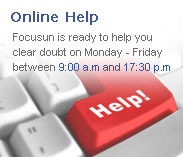 Focusun vacuum coolers are excellent quality and own many models for various uses. Moreover, each machine can be customized to meet your requirements. 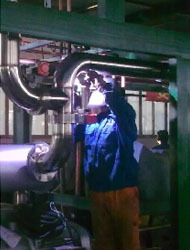 Focusun vacuum cooler can significantly improve the cooling rate, reduce their own consumption of nutrients and keep original texture, color, sensory properties and nutrition of products, which can significantly increase the self life of products as well as reducing the health risk caused by organism growth. So till now, vacuum cooler has been widely used for cooling products in food and catering industry and also in the fresh produce and post harvest sector. Rapid Cooling: typically 20 – 30 minutes to reach required refrigeration temperature. Uniform Cooling: compared to traditional cooling methods, whose heat is transferred by convection on the outer surface and by conduction from surface to the center, vacuum cooler can achieve uniform cooling effect from inside to outside without the limit of the package. Clean and sanitary: in vacuum circumstances, effectively sterilize the products, inhibit the micro-organisms proliferation, especially water borne microorganisms and also prevent the cross-contamination. 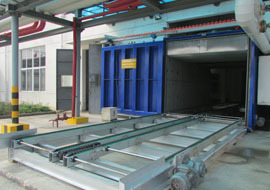 Thin-layer drying effect: unique effect to cure slight damage on surface and inhibit the expansion on fresh products. Improvement of product quality and safety: maintain the original texture, color, sensory properties and therefore, prolong the storage and self life. Easy to operate: PLC screen control, automatically stop the cooling process when the pressure and temperature reach the predetermined level. High accuracy: equipped with imported digital display temperature and humidity controller, which can accurately control the vacuum level and humidity, ensuring excellent tolerability and operation of vacuum cooler.